The General Child and Family Services Authority has a number of priorities and initiatives. The General Authority’s core principles provide for a partnership in prevention and permanency supported by the Practice Model. We do this in the spirit of building on the strengths of families, promoting hope and developing capacities for families and staff. The authority has placed much of its effort and focus on prevention: working to prevent children from coming into care, while at the same time building on family strengths to provide care and support in their own homes. The General Authority is committed to providing training, mentoring and support to assist agency staff so they may strengthen their work with families. As a result, in 2010, the General Authority embarked on the implementation of the Practice Model with its agencies and service regions. The fundamental goal of the Practice Model is to work with families to keep children safe. The Practice Model uses research-based Structured Decision Making tools. The Structured Decision Making tools help to assess safety, risk, and families’ strengths and needs. In conjunction with these assessments, the Practice Model uses solution-focused engagement strategies and skills. These include Mapping, Danger Statements, Safety Goal Statements and behaviourally based case plans that are measurable and achievable for the family. These tools and approaches help to increase the transparency about what the worries are, what is working well, and what needs to happen next. Click on the video for a general overview of the Practice Model. A common definition of safety has been adopted by all General Authority agencies and service regions which incorporates all of the elements that need to be in place to ensure child safety. This definition is shared with families so they know what is expected of them, and gives families and workers a common language. The General Authority’s commitment is to prioritize the Safety, Permanency, Belonging and the Well-Being of children. Safety is always a primary concern and includes the physical and psychological safety of children. The Practice Model ensures caregivers and children have an opportunity to engage with and participate in safety planning to ensure ongoing, sustainable safety. Permanency and Belonging is the intent to find permanent, sustainable connections, whether that is to family and community or to permanent placement outside the family home. This includes caregivers who are committed to helping children and supporting them in their transition to adulthood. Well-Being is a key goal–helping children maintain familiar connections, including school and community. The following definition was developed and approved by the four child and family services authorities and the Child and Family Services Division. Children require safety and stability from childhood through to adulthood. Fundamental to the required safety and stability is “certainty of responsibility” – caregiver(s) who accept lifelong responsibility and commitment to care for the child and whom the child mutually understands and accepts to be a trusted support. Knowing one’s story and history – Provides the child with a distinguishable sense of belonging, culture and identity. For children in care this is facilitated through helping the child understand and reconcile past losses, therefore assisting them with the transition to permanency. Safe and stable home – Creates a safe, stable, reliable place for the child to learn life skills and healthy coping mechanisms. Certainty of responsibility – Establishes trusted caregiver(s) in the child’s life who will provide the supports and resources for the child into and throughout adulthood. Provides the child with the security of an ongoing connection with supportive caregiver(s). Lifelong connections – Emphasizes the importance of making every effort to maintain connections with the child’s natural network of support and extended family whenever possible. Creates the safety and security required to foster resilience and ensure the child has the connections and supports in place to pursue education, employment and any other aspirations into and throughout adulthood. Although difficult to measure, each marker of permanency is also rooted in providing the opportunity for the child to love and feel loved. Love is an imperative part of a healthy and safe childhood, and a key aspect of a successful transition to adulthood. “Bringing Families Together” is a two-year pilot with the objective of increasing permanency opportunities for children in care. The pilot is intended to explore additional ways that the Manitoba child and family service system can engage with children, families and communities to establish lifelong connections and create a strong sense of belonging for children in care. “Bringing Families Together” recognizes that all children have a right to be connected to their family, community and culture and that these connections are vital to one’s sense of belonging and identity. Child welfare has too often disrupted these connections and needs to work in partnership with families and communities to maintain and strengthen these connections. The pilot does this through a dedicated team of workers that use Kevin Campbell’s internationally recognized Family Finding practice approach to establish lifelong connections for children in care with their family and community. 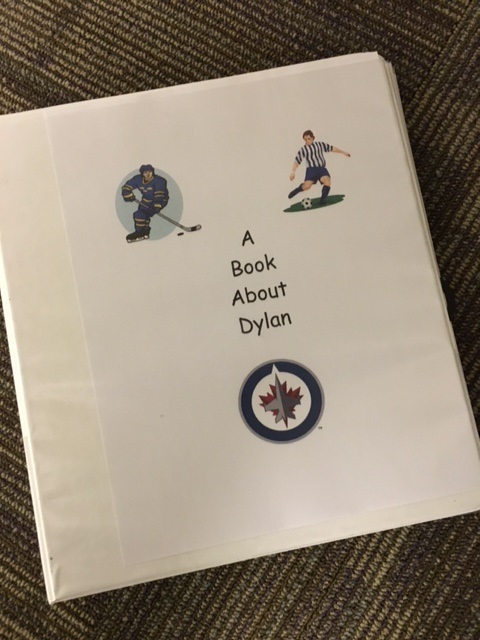 The pilot went live in September 2016 and will serve approximately 150 children over two years from agencies across the four Child and Family Service Authorities, with a primary focus on serving sibling groups and other children in Winnipeg’s emergency care system. This leading practice approach shifts how we work with families. As a part of this practice approach, these dedicated workers use specific skills and strategies to locate and engage family and community connections who are or have been significant in the child and family’s life and that may have been disrupted as a result of the child coming into care, and include them in planning for the child’s future. The goal of this process is to restore the child’s natural family and community support network and ensure these supports are lifelong and are not dependent on long term child welfare service. Once this support network is in place, the network shares the decision-making responsibility for the child’s safety, permanency and well-being. The pilot is a formal partnership between Until the Last Child, the four Child and Family Services Authorities and the Province of Manitoba (Department of Families). Until The Last Child works alongside child welfare agencies, encouraging and supporting innovation. They provide funding and other necessary resources to enable enhanced, stable outcomes for children in care— outcomes that cannot be achieved with public-sector resources alone. In many cases, child welfare agencies already have the creativity and best practice models they need, but lack the funding to implement. What is Manitoba’s Definition of Permanency? Manitoba’s definition of permanency was developed by the four Child and Family Services Authorities and is inclusive of each of the four Child and Family Services Authority’s unique perspectives on permanency. Children require safety and stability from childhood through to adulthood. Fundamental to the required safety and stability is “certainty of responsibility” –caregiver(s) who accept lifelong responsibility and commitment to care for the child and whom the child mutually understands and accepts to be a trusted support. 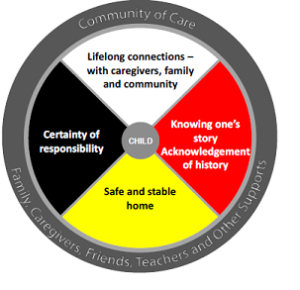 Manitoba’s definition of permanency recognizes that all children have natural certainty and belonging through their family and community of origin and that these connections are vital to maintain. Knowing one’s story and history – this provides the child with a distinguishable sense of belonging, culture and identity. Safe and stable home – creates a safe, stable and reliable place for the child to learn life skills, grow and develop. Certainty of responsibility – establishes trusted caregiver(s) in the child’s life who will provide the supports and resources for the child into and throughout adulthood. Provides the child with the security of an ongoing lifelong connection with supportive caregiver(s). What will this mean for Manitoba in the Future? The four Child and Family Services Authorities, The Department of Families and Until The Last Child are very excited about the potential of this partnership. There will be ongoing evaluation throughout the pilot project that will look at implementation of the practice approach and permanency outcomes that include a child’s lifelong connections to a support network of family and community and their sense of belonging. The lessons learned from the evaluation will inform the development of a possible strategy to implement this practice approach on a broader scale within the system. The Safe and Together™ model is a perpetrator pattern-based, child-centred, survivor-strengths approach to working with domestic violence. It is a new model of service delivery that will be introduced to the General Authority’s agencies and service regions. As a child-centered model, it is consistent with the mission of child welfare agencies and provides child welfare workers with an enhanced capacity to practice in cases that prove to be challenging, frustrating and at times dangerous. The Safe and Together™ model supports meaningful ways to both better understand domestic violence as it relates to children and improve these skills to support the safety and well-being of children. The model has a growing body of evidence associated with it including recent correlations with a reduction in out-of-home placements in child welfare domestic violence cases. For more information, please visit the Safe and Together™ website. All children in care must know their own story and history, and have the supportive time to understand and reconcile past losses. Our role at the General Authority is to provide and promote supports and best practice approaches that allow agencies to do this critical work with children and at the same time build a continuum of lifelong connections which give the child security beyond their time in care. It is our ultimate responsibility to provide this. One of the ways to help children and youth work through these life transitions is through the creation of a lifebook. 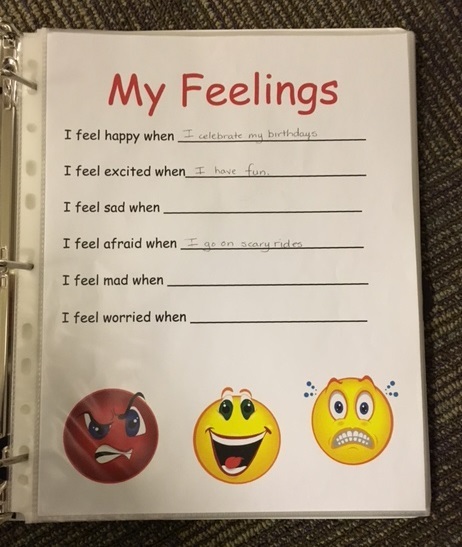 Lifebooks allow for the creation of pages which reflect the child’s experience and record memories and life events that occurred when they lived with family, as well as when the children were in placement. Lifebooks can help the child remember connections to people who have been important in their lives and may help heal past experiences with their present circumstances in a positive way. Until children and youth can reconcile the separations and trauma in their lives, they are not able to make a successful transition to permanency (reunification, legal guardianship or adoption). In 2015/2016, General Authority agencies and service regions helped over half of their children in care through the creation of a lifebook. In 2009, the General Authority launched the New Canadian Initiative (NCI) in recognition of the challenges facing new Canadians and the need for a preventative approach to raising awareness and providing accurate information about the child and family services system. The New Canadian Initiative sees itself as part of the primary settlement process for new Canadians in our province. Since that time, the NCI has become one of building trust, shared dignity, and fostering mutual learning between a number of cultural communities, settlement service providers and child and family services with the shared goal of promoting better outcomes for children, families and communities. • The continued work of the Cultural Community Reference Group comprised of over 30 ethno-community members and General Authority board and staff members who provide valuable feedback. To further strengthen the policy and governance relationship between the Reference Group and child welfare services, an important step in the development of the initiative took place when two representatives from the Reference Group were appointed to the General Authority board of directors. This process started with the Reference Group itself identifying two members who agreed to have their names brought forward to the Minister for their appointments as General Authority board members. • The “Positive Parenting as told through Cultural Community Voices” showcase event was held on January 6, 2016. Through video or audio, theatre, spoken word, or graphic illustration, cultural community storytellers were paired with professional artists to craft their stories of positive parenting and their journey from their homeland to Manitoba. The event was a great success, and stories shared will be used for future training and engagement of CFS staff in working with new Canadian families. • The Action Team is a group of Winnipeg-based settlement service providers, who come together with the General Authority, Winnipeg Child and Family Services, All Nations Coordinated Response Network (ANCR) and the Child Protection Branch staff to meet, share and exchange information and build opportunities to collaborate. This team has been instrumental in helping to craft a range of initiatives within the NCI, including the “Positive Parenting as told through Cultural Community Voices” and the “Sounds through the Wall” video training. • The Train the Trainer team is an ongoing collaboration of settlement service providers, ANCR, the General Authority, the Child Protection Branch and Healthy Child Manitoba. Their role has been to engage cultural community members and settlement service workers to provide basic child welfare information. They continue to use the “Sounds through the Wall” video as one of their training tools. • The Mutual Learning Events Steering Committee has been formed (with representation from the General Authority, Winnipeg CFS, CFS of Central Manitoba, Eastman Region, Healthy Child Manitoba, settlement services and cultural communities) to plan engagement activities within Winnipeg, Central and Eastern Manitoba. These events will bring together front-line workers, settlement services and community members to understand perspectives and appreciate how each can contribute to better outcomes for families and children in their community. Following through on this idea, an engagement process has started to take form between the leadership of the Somali community and Winnipeg Child and Family Services front-line staff, including the Newcomer Unit. • The Our Shared Journey event on March 16, 2016 brought together all partners and stakeholders within the NCI to reflect on the successes of this initiative, bring forward hopes and goals for the future, and recognize those who have made outstanding contributions towards the objectives of the NCI including community engagement, mutual learning and promoting better outcomes for children and families. The General Authority wishes to express our appreciation for all those who continue to play a strong leadership role within the New Canadian Initiative. Sounds Through The Wall is a video resource and presentation created by the General Authority, Winnipeg Child and Family Services, All Nations Coordinated Response Network (ANCR) and the Child Protection Branch, along with Healthy Child Manitoba, to introduce and familiarize new Canadians with Manitoba’s child welfare system and Manitoba’s parenting laws. The goal of the video is to help newcomers understand how the child and family services system in Manitoba works and to emphasize two important goals of the system: to keep children safe and to support youth and families. It also seeks to alleviate parents’ fears that if child and family services becomes involved with their family, their children will automatically be taken into care, which is not the case. Additionally, Sounds Through the Wall endeavours to provide important information on parents’ rights within the child welfare system. The video emphasizes that children are not taken into care unless there is no other way to ensure children’s protection. The video also shows viewers that CFS’s most important goal is to keep children safe and to help parents keep children secure and supported in their own homes. *Note: While this video provides helpful information about the child welfare system, it is best used in a facilitated dialogue with those knowledgeable about the system who can answer any questions that may arise. Caring Dads is an intervention program for fathers (including biological, step and common-law), who have physically abused, emotionally abused or neglected their children, or exposed their children to domestic violence or who are deemed to be at high risk for those behaviours. The program consists of a 17-week, empirically-based, manualized group parenting intervention for fathers, systematic outreach to mothers to ensure safety and freedom from coercion, and ongoing, collaborative case management of fathers with referrers and other professionals involved with men’s families. The group component of Caring Dads combines elements of parenting, fathering, battering and child protection practice to enhance the safety and well-being of children. Program principles emphasize the need to enhance men’s motivation, promote child-centred fathering, address men’s ability to engage in respectful, non-abusive co-parenting with children’s mothers, recognize that children’s experience of trauma will impact the rate of possible change, and work collaboratively with other service providers to ensure that children benefit (and are not unintentionally harmed) as a result of father’s participation in intervention. For more on Caring Dads, please visit http://www.caringdads.org.